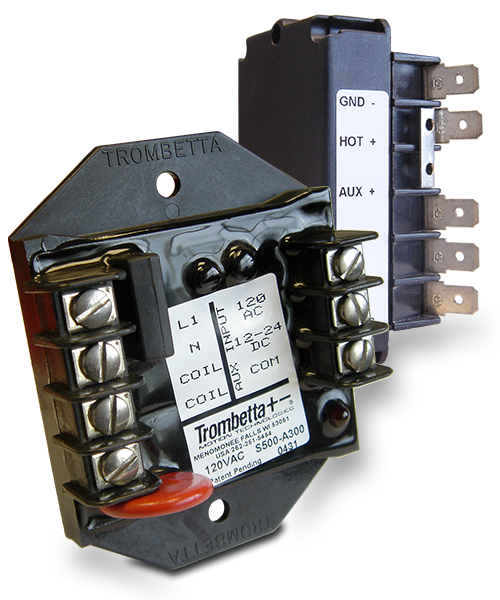 Trombetta is a leading worldwide manufacturer of DC power switching and power management products for mobile applications, including DC Contactors, Industrial Work Solenoids, and Electronic Controls. Trombetta's rugged designs are focused on meeting the demands of mobile equipment including extreme operating temperatures, humidity, exposure to splash and spray of contaminants as well as shock and vibration. Founded in 1932, Trombetta has ISO 9001-2000 certified manufacturing operations in Milwaukee WI, Malden MA, Tijuana MX and Shanghai, China, demonstrating a commitment to continuous improvement of their products. Trombetta products have become the industry standard for PowerSports, Lawn & Garden Equipment, Agriculture & Construction, Medium & Heavy Trucks, RV, and Mobile Hydraulic applications. MurCal stocks many of Trombetta's most popular products for a quick turnaround when you place your order. Below, you will find links for additional information, including product specifications & literature. 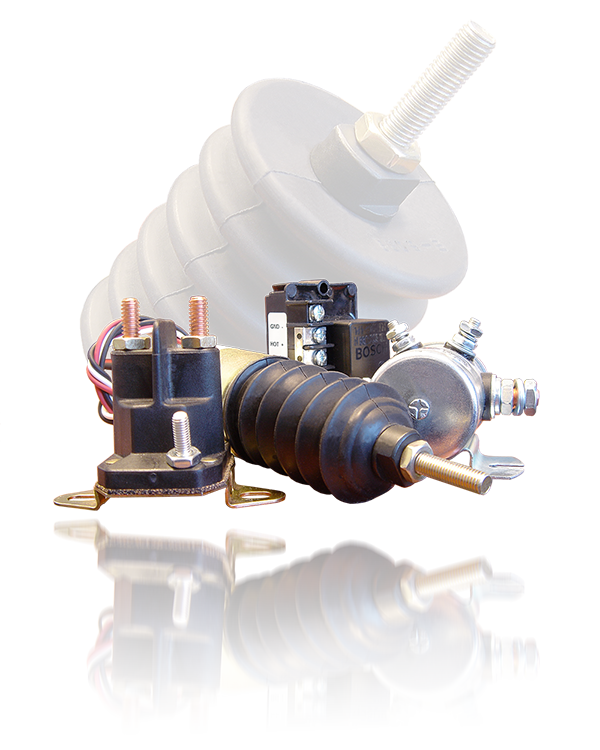 Trombetta's Industrial Work Solenoids are essentially electromagnets with at least one moving part capable of completing useful work, characterized by limited motion, a few inches of travel or less within a fast response time. 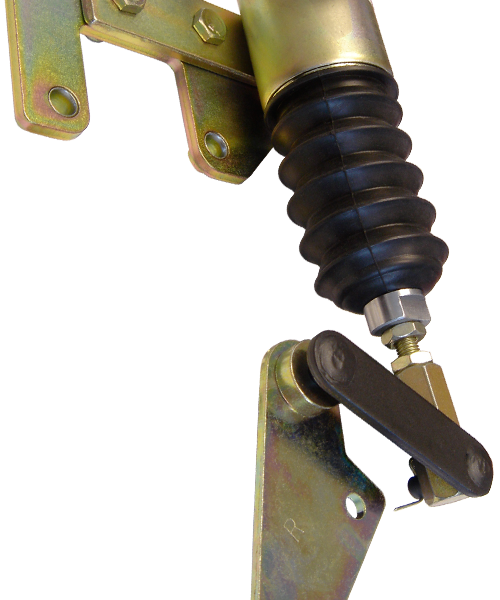 They offer a proven and reliable electromechanical approach to complete a pull and hold function, and are designed to withstand high temperature and high vibration environments. Trombetta DC Contactors provide a robust and economical means to switch high currents in low voltage DC circuits, and are suited for applications involving voltages up to 48VDC. Current capacity varies by family. The DC contactors allow these high currents to be turned on and off by switching current to the DC contactor’s coil. Continuous duty and intermittent duty models are available. Trombetta's Electronic Controls for solenoids regulate the magnitude of electrical drive applied to the coil during the pull-in and/or hold operation of the solenoid to optimize the performance of the solenoid. With control modules, customers can benefit from employing smaller solenoids than would otherwise be needed to generate the forces necessary to perform the application actuation. 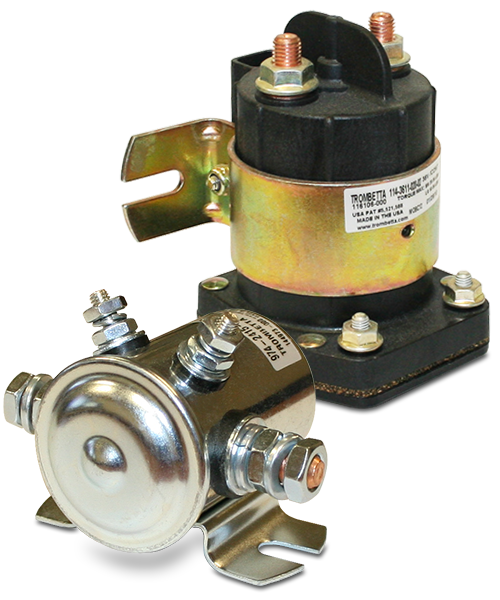 Trombetta’s P610-K Series Governor Mounted Fuel Shutdown Kits are designed to fit on Bosch RSV Governors. 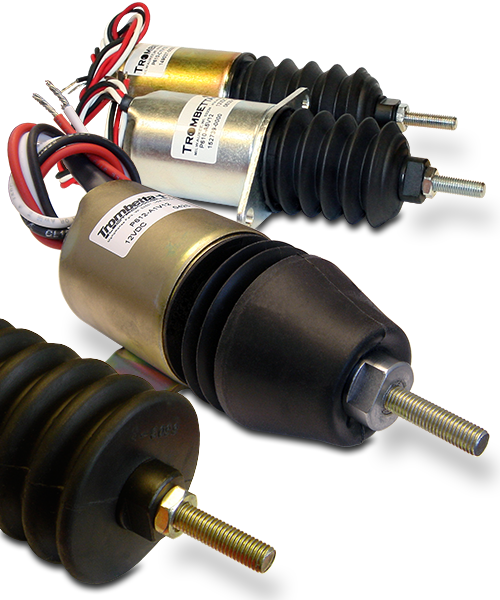 Each kit contains a solenoid, heavy duty coated linkage components and increased bearing surface for extended life. 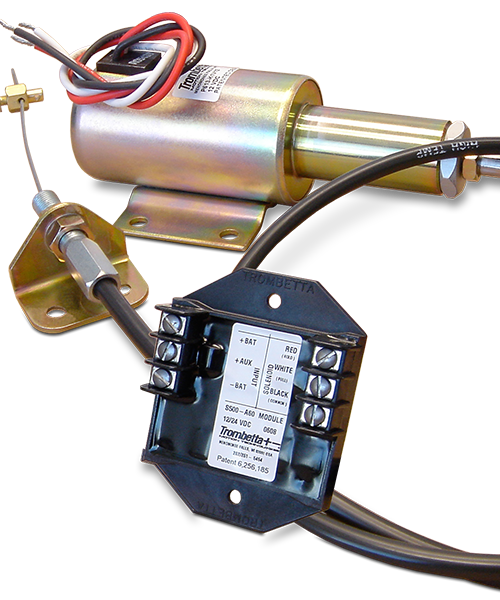 Trombetta’s P613-K Series Throttle Control Kit, consisting of a three-wire dual coil solenoid, a solid state control module and stainless steel sheathed pull cable, is designed for the ultimate in reliability. The included electronic control module allows the solenoid to operate as a continuous duty device, and can be activated automatically or “on demand” to bring the idle speed to a pre-set high idle position.